May you find welcome waiting wherever you should roam. Back in 2013, when my newest company was just getting off the ground, we scrounged up the money to send a volunteer marketing rep and me to represent Draft2Digital at a writer’s conference in Manhattan. It was a thrill. Two months later, at another writer’s conference (this one in our own back yard), I got to meet Patrick Rothfuss and (thanks to Draft2Digital’s imprimatur) spend two or three hours talking shop with him. In the time since, I can’t think of a lot of other opportunities like those two. They came in a burst at the beginning, and then we had two years of hard, focused work just keeping the fledgling company from dying. Don’t get me wrong! The company has been growing at an unbelievable rate. We more than doubled in size during 2014, and we plan to do at least as much again this year. It’s just that all the big, dramatic developments mostly happened on a spreadsheet. But last week, I went to San Francisco at the invitation of one of our best business partners. 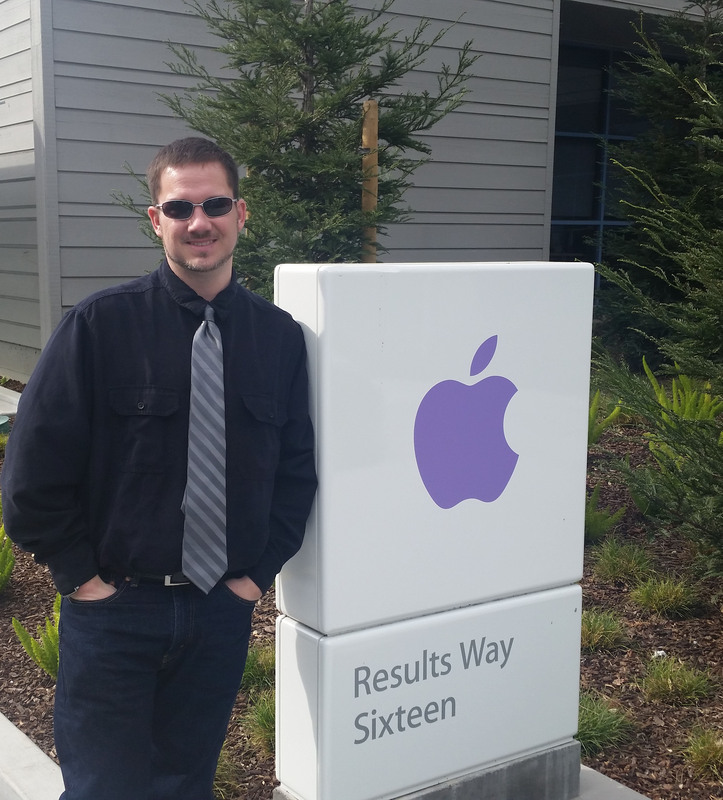 Apple asked us to visit the campus to discuss how we could grow the business together. Draft2Digital is one impressive startup. Several of the Apple representatives took pains to point out the parallels between our companies, our positions with our respective markets, and most of all, our business strategies. One of the execs went out of her way to say that we’ve basically built our business around the same principles that define Apple: easy usability, customer-friendliness, and first-rate execution on meticulous design. We grinned like idiots and thanked her for saying so. But, in all honesty, none of this was news to us. We did it all very much on purpose. The startling thing–the astonishingly fun thing–was getting to hear from people who definitely know what they’re doing that, yes, we’ve accomplished our goals. We’ve accomplished them so thoroughly that we’ve been noticed. And that feels good. Apple treated us like kings, and I like to think we conducted ourselves well. Everyone I met was friendly, well-informed concerning a deeply volatile market, and sincerely concerned about the ways we can work together to benefit readers and writers alike. It’s everything I would have hoped for from a meeting like this. And that wasn’t our only meeting in San Francisco (even if it was the clear headliner). We arranged meetings with a couple other business partners (or potential partners) while we were in town, and that trip left us thoroughly committed to setting up face-to-face visits with all of our retailers in the near future. It’s amazing how much we can accomplish once we really start talking.